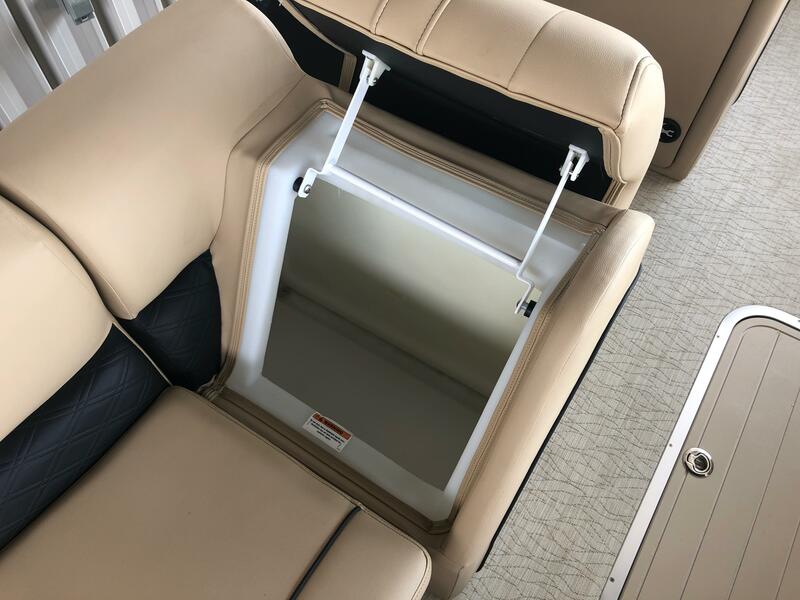 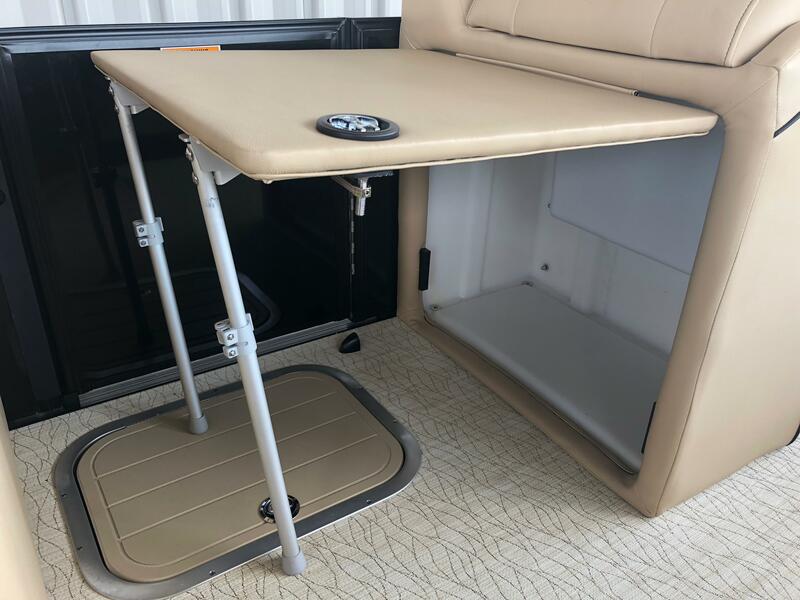 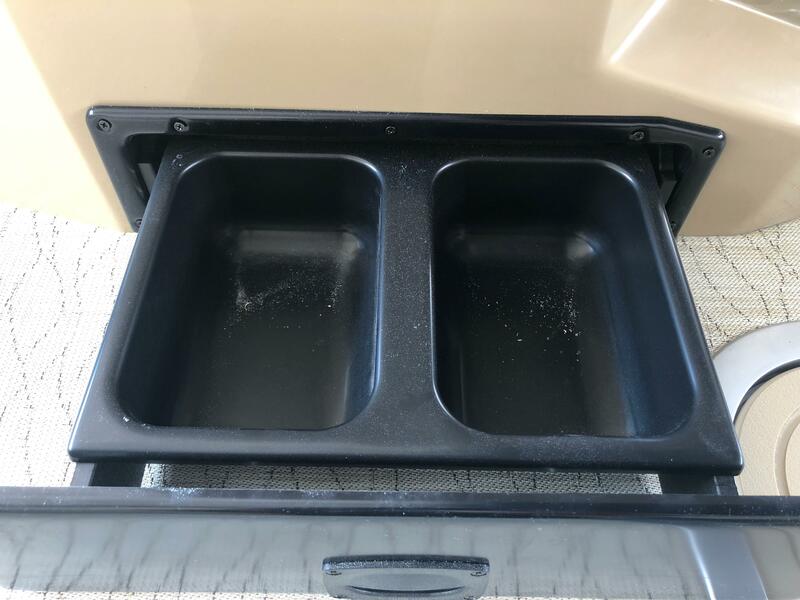 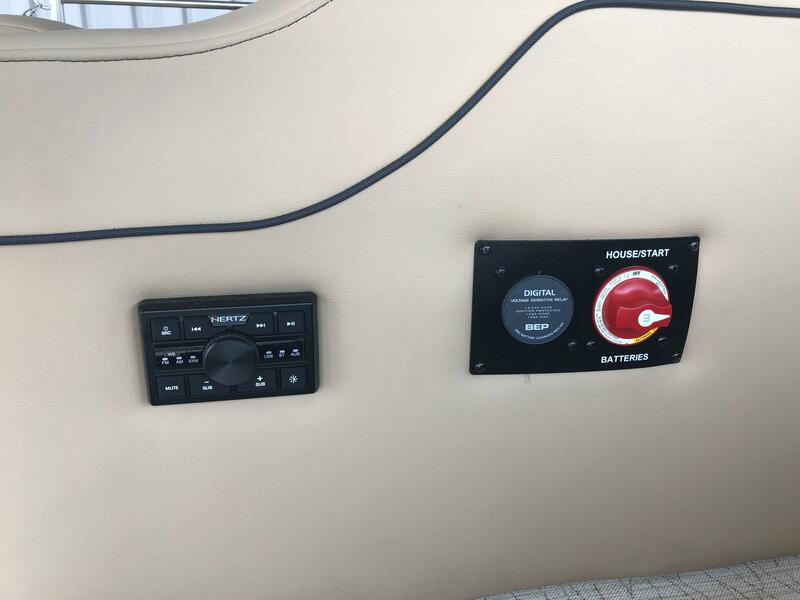 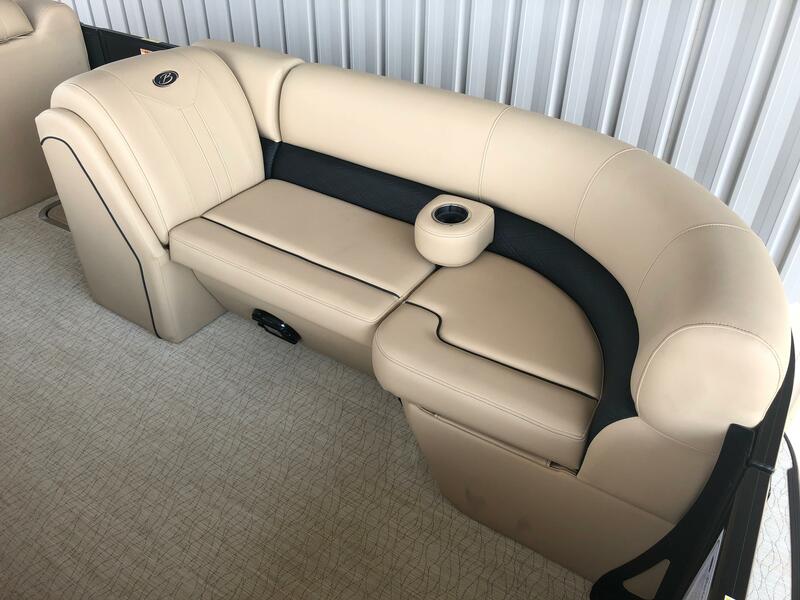 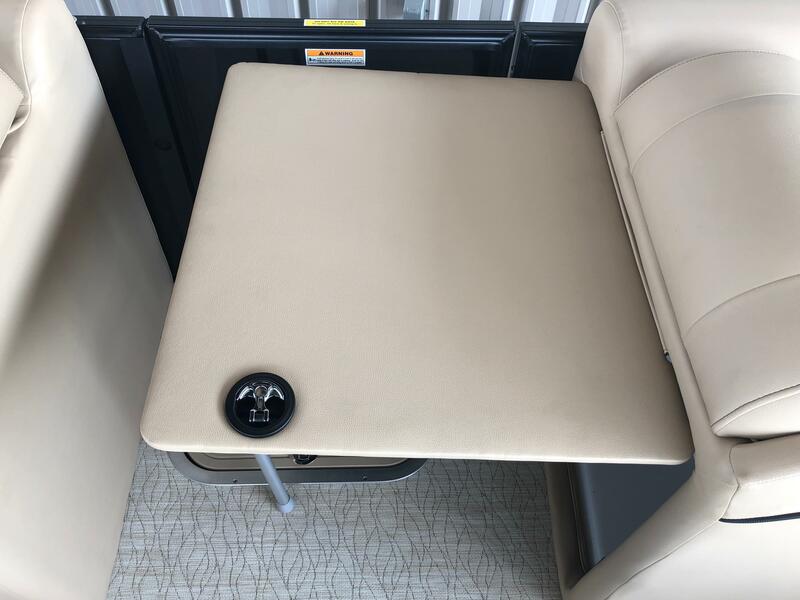 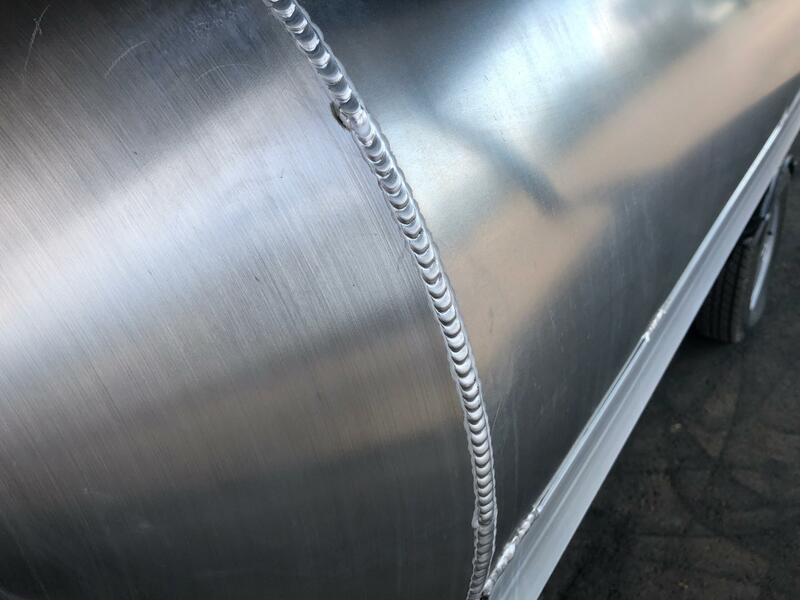 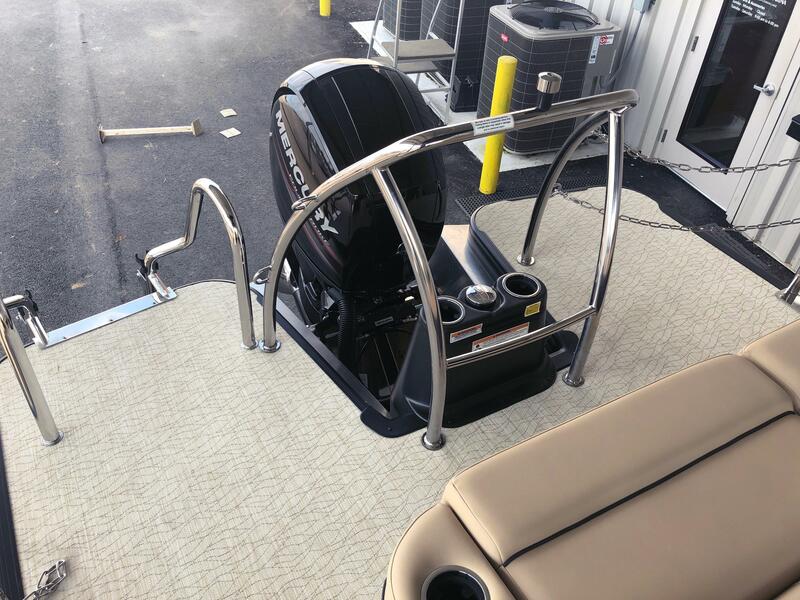 Another new line from Barletta Pontoons! 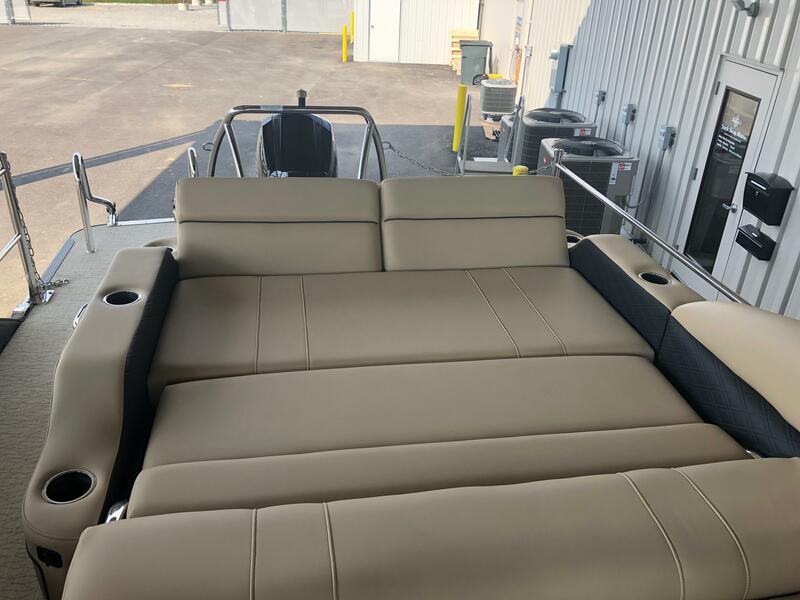 This is the Barletta E22U pontoon boat. 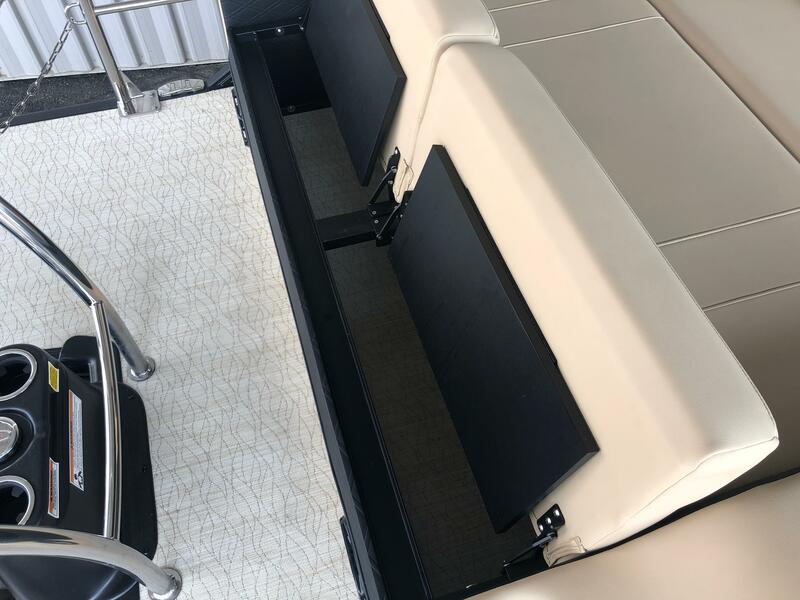 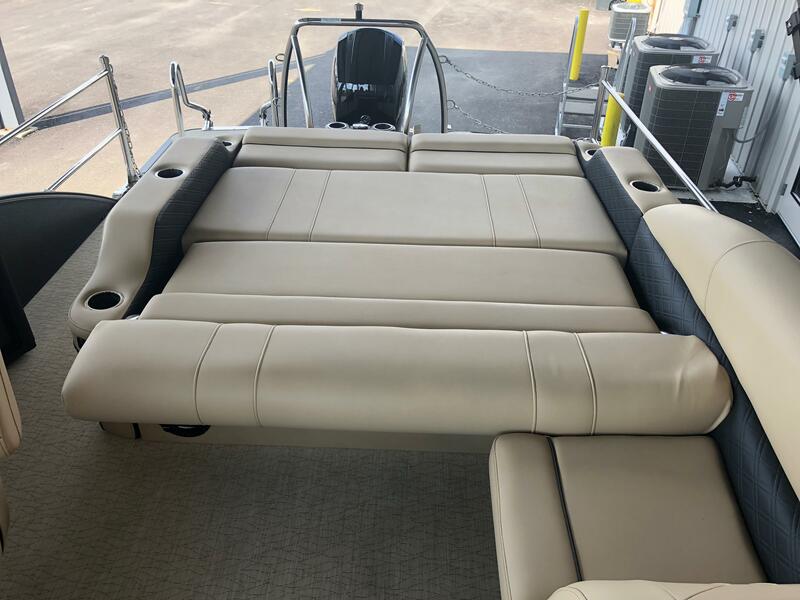 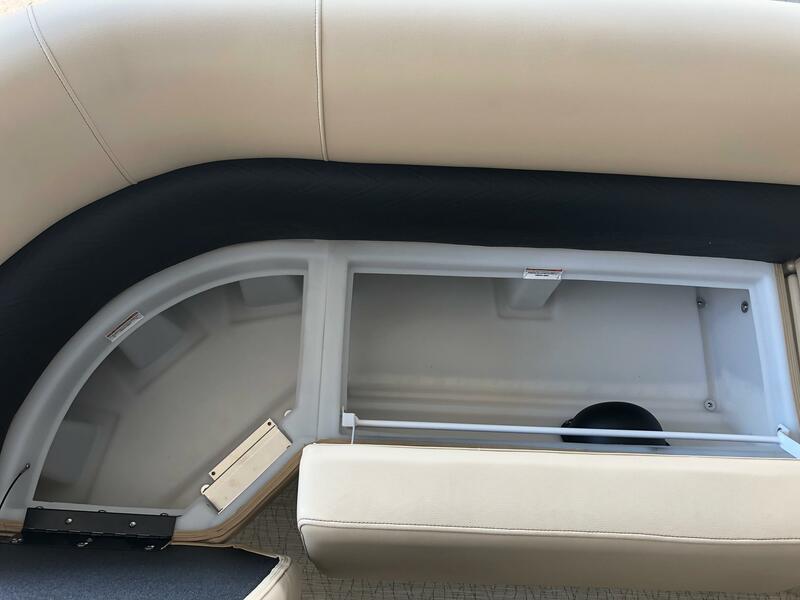 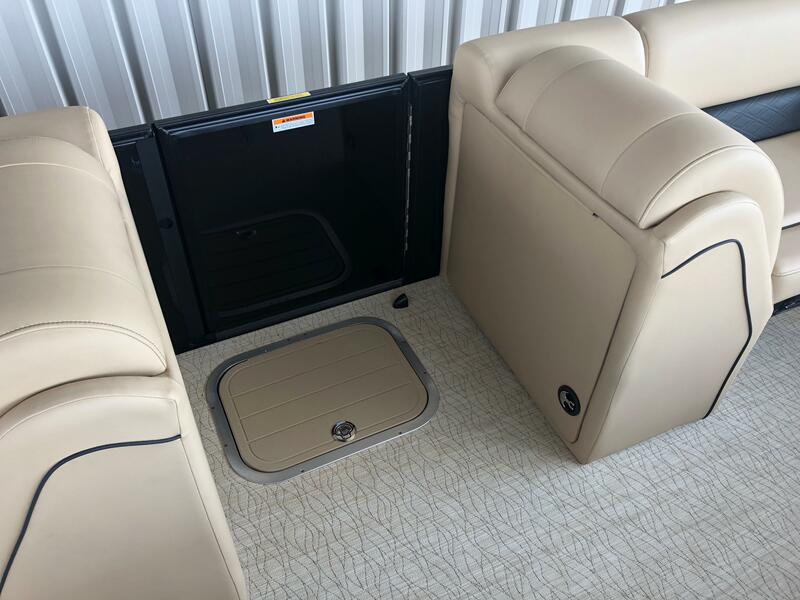 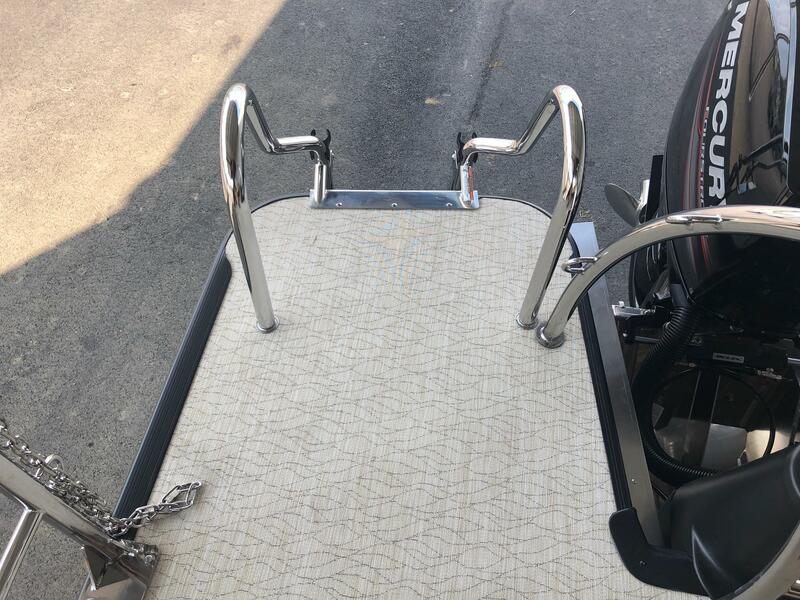 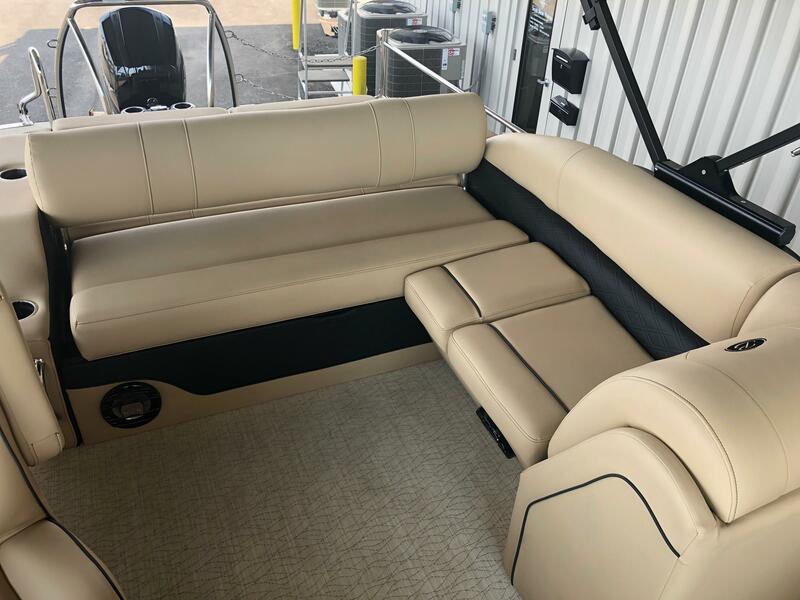 The E-Class series of Barletta pontoons comes in right behind the L-Class. 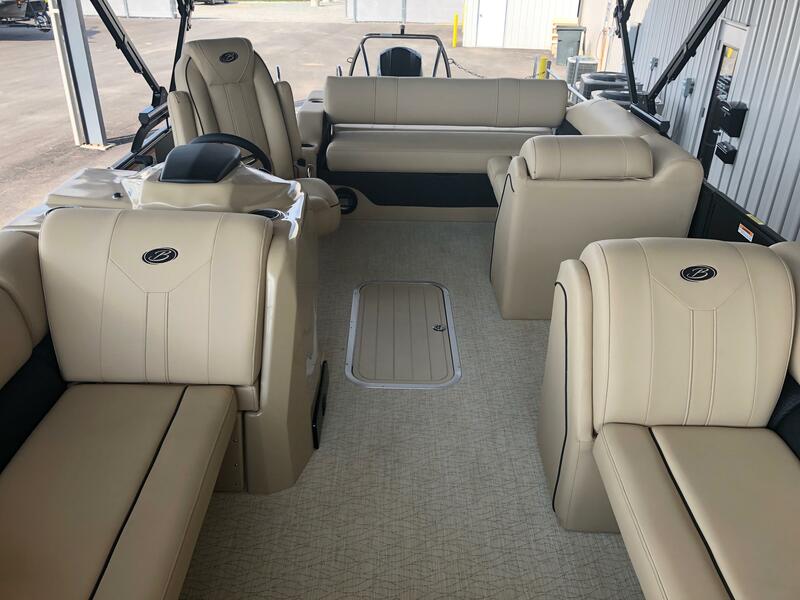 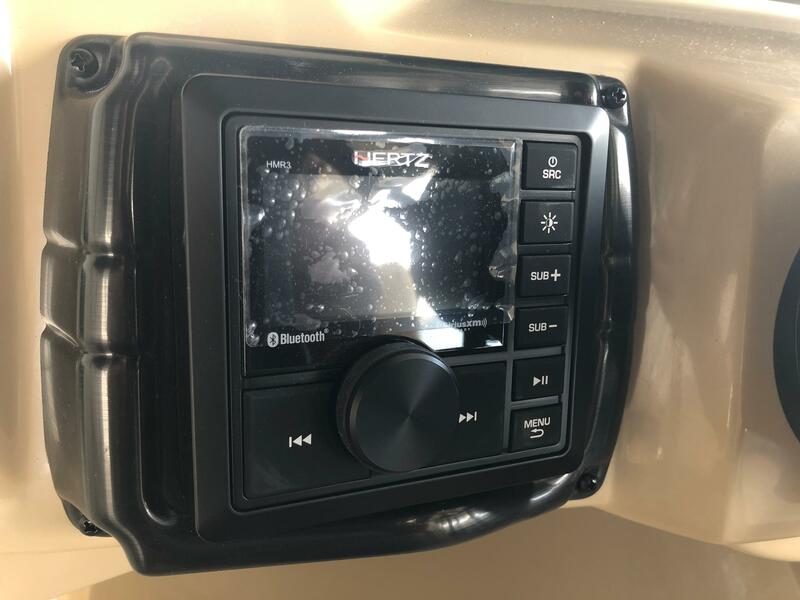 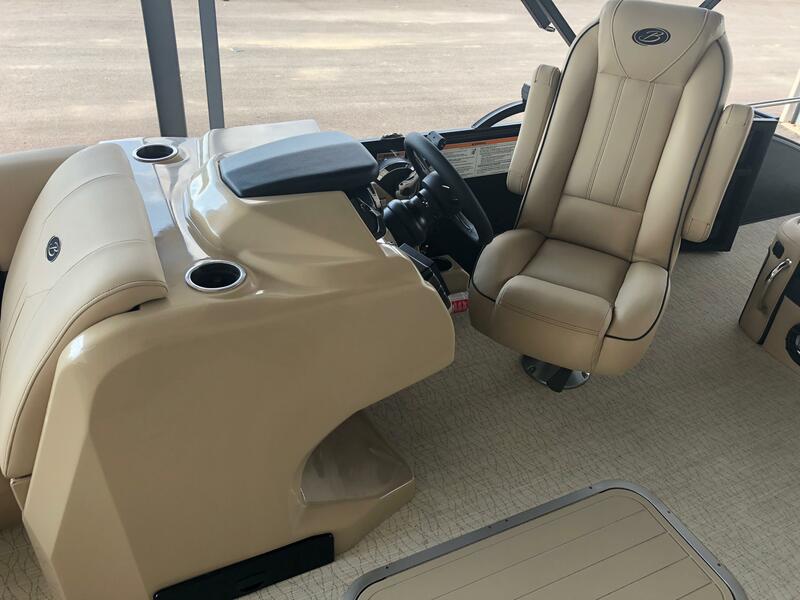 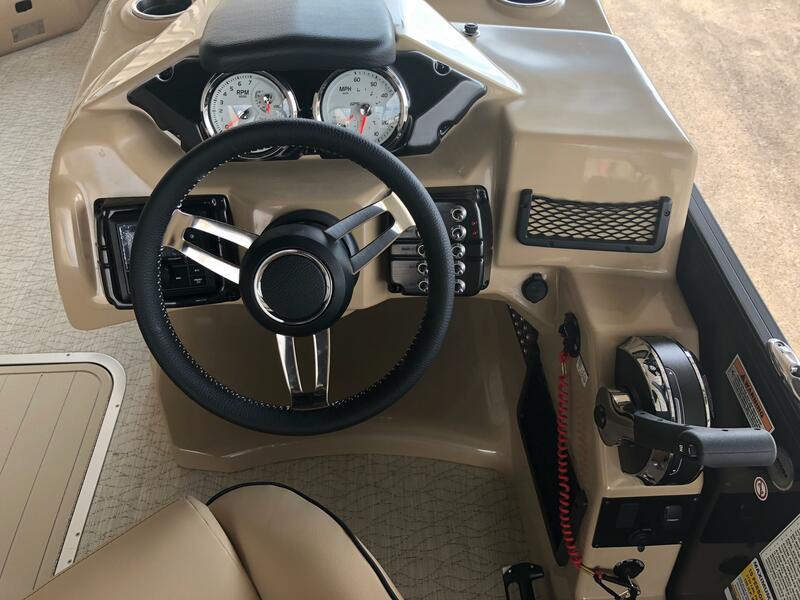 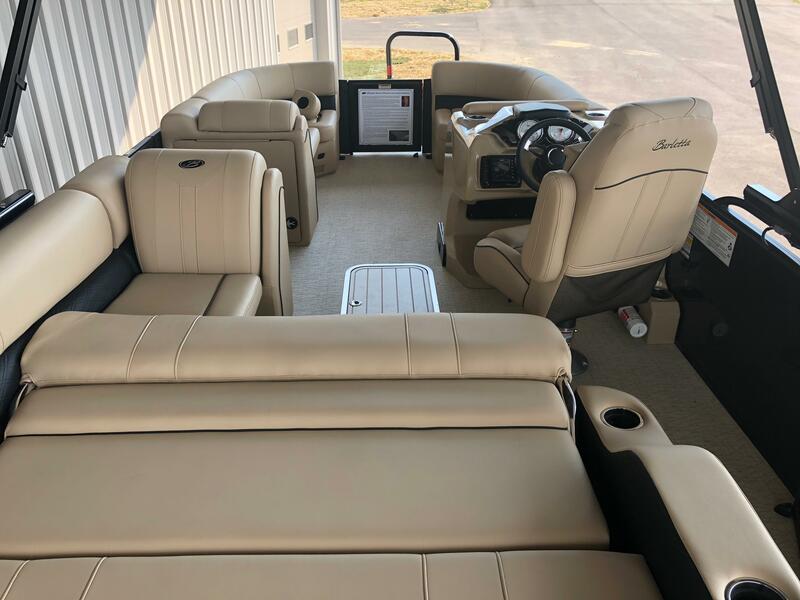 Not as many standard features as the L-Class, but still a ton of awesome features to make your day out on the water enjoyable and memorable. 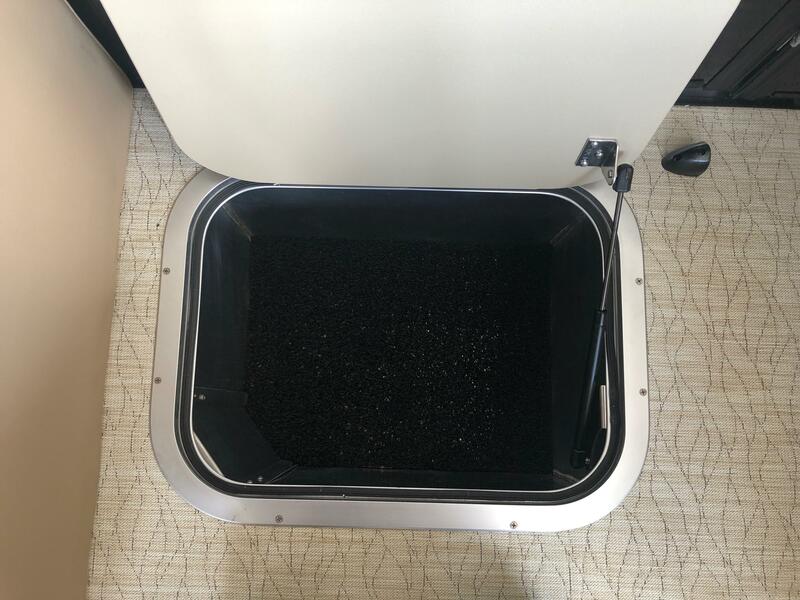 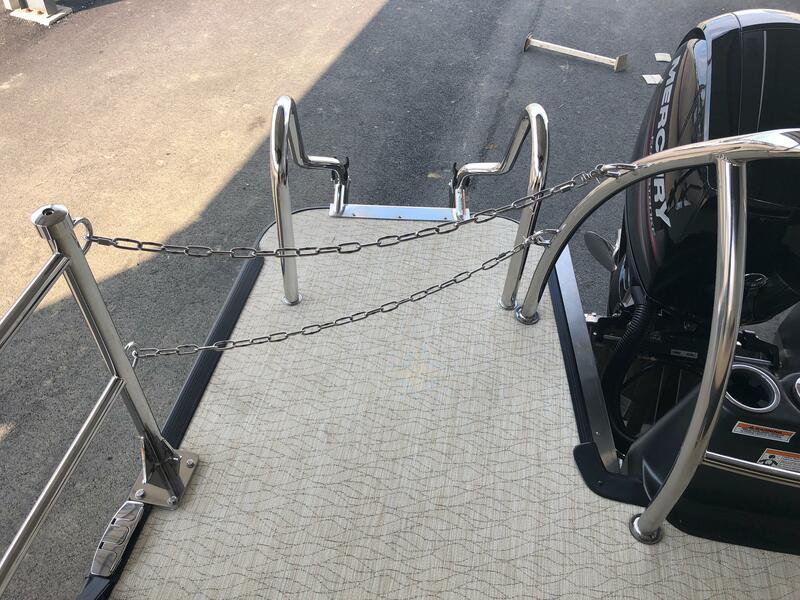 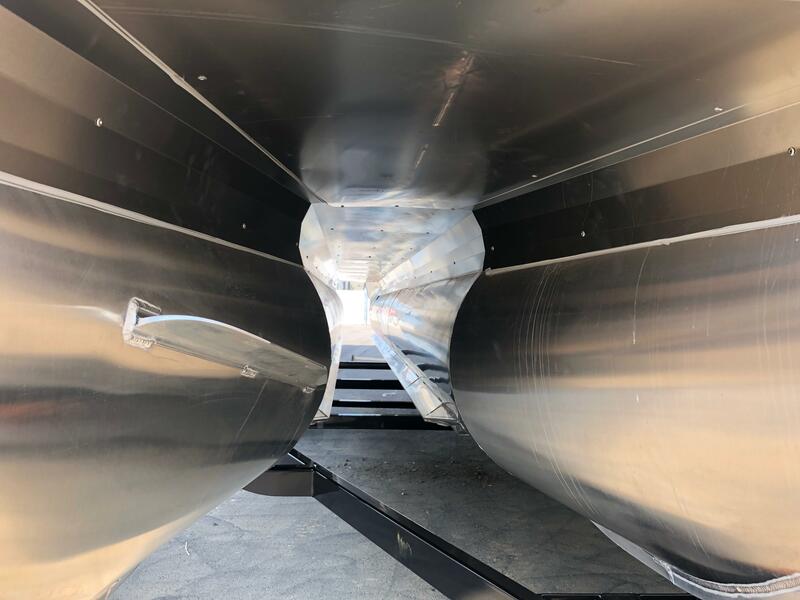 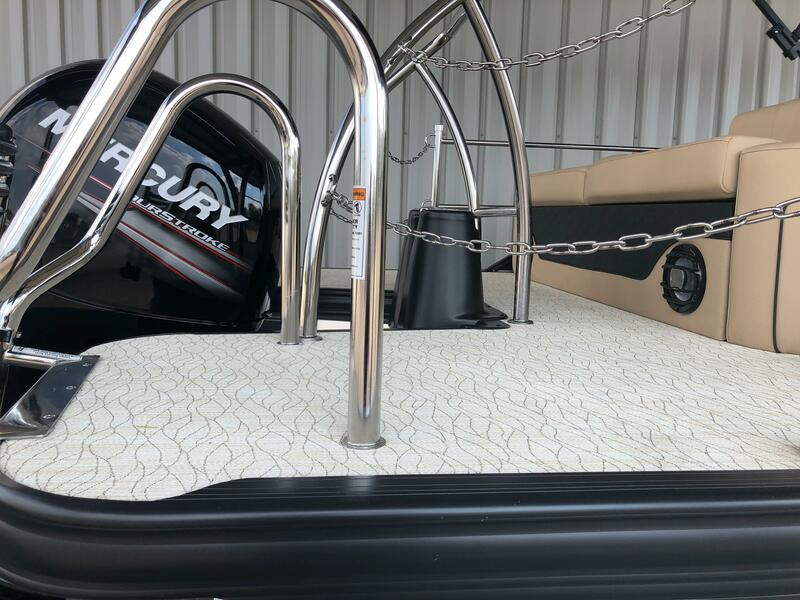 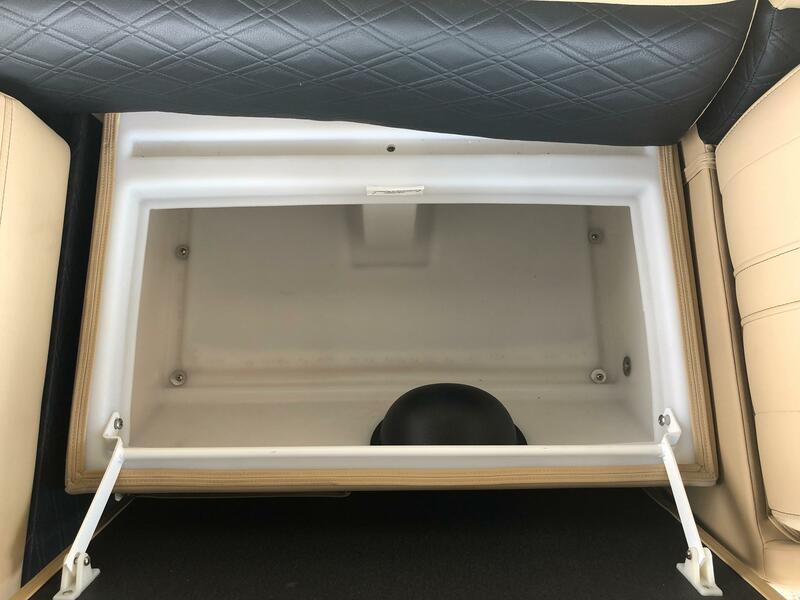 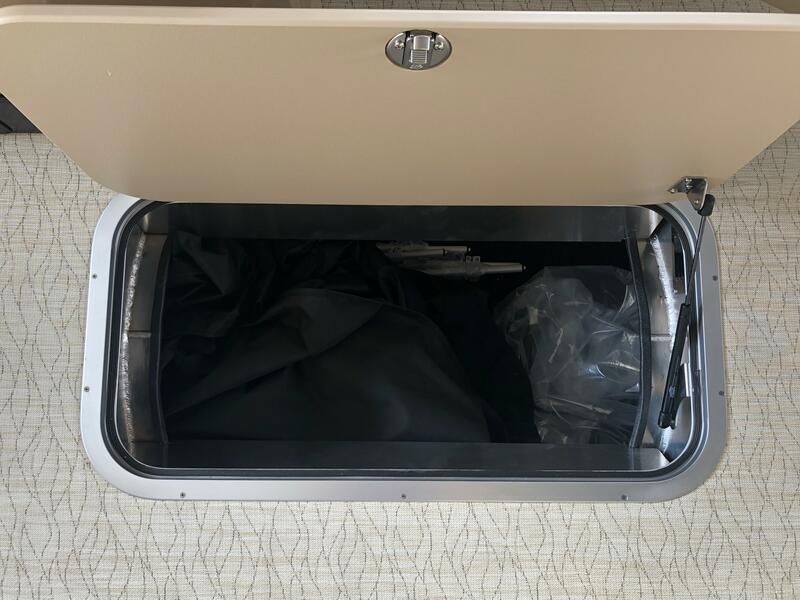 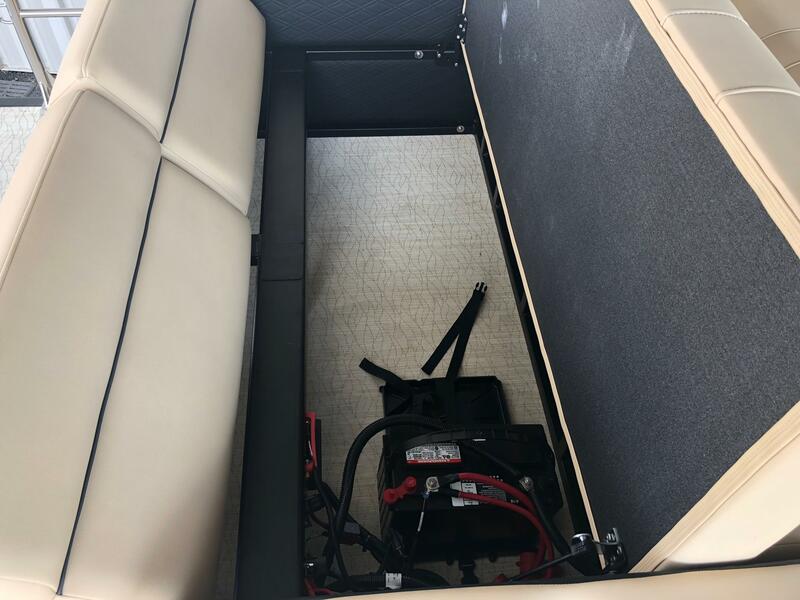 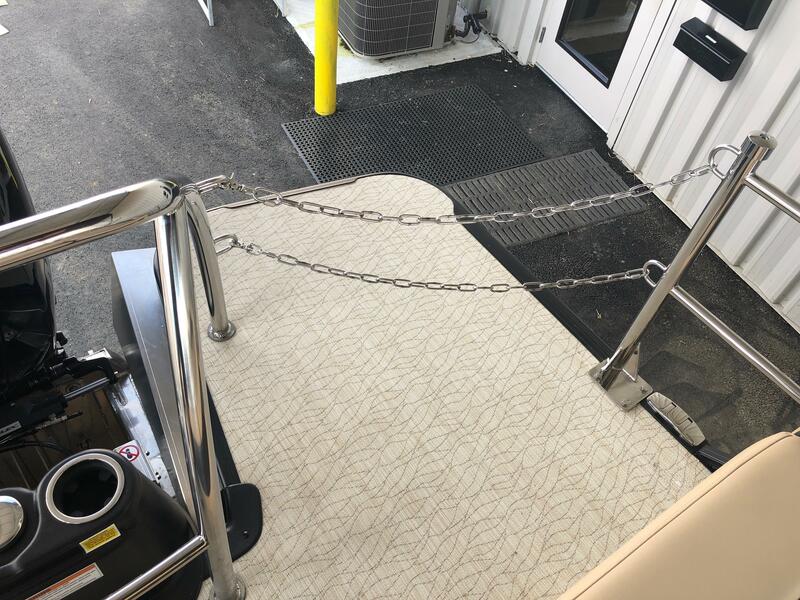 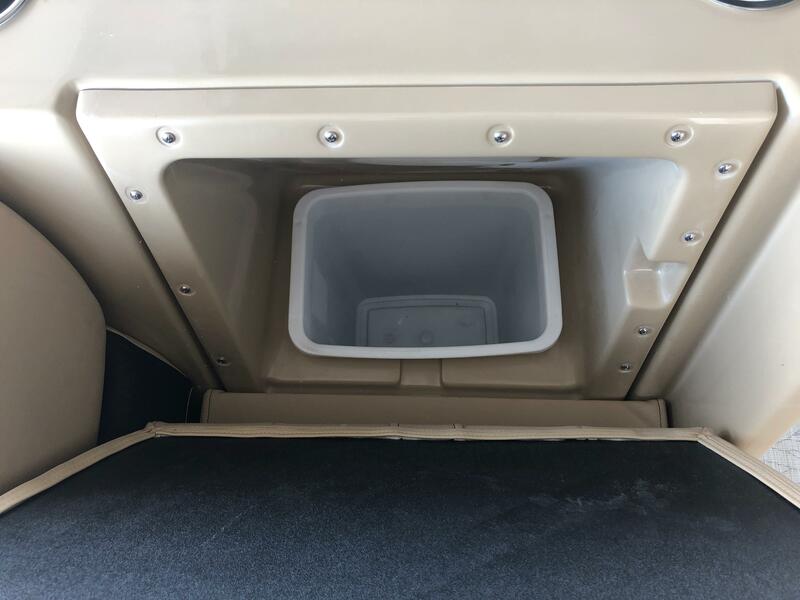 This unit was upgraded with a Tri-toon package, Blackout package, underdeck and underwater lighting, stainless steel stanchions and chains, in-floor storage, in-floor cooler storage, upgraded sea weave flooring and a stereo remote at stern swim deck. 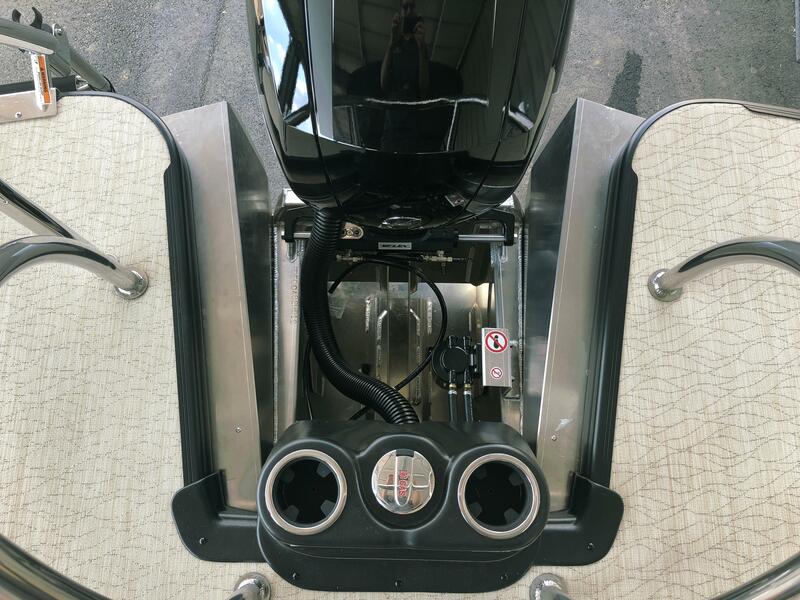 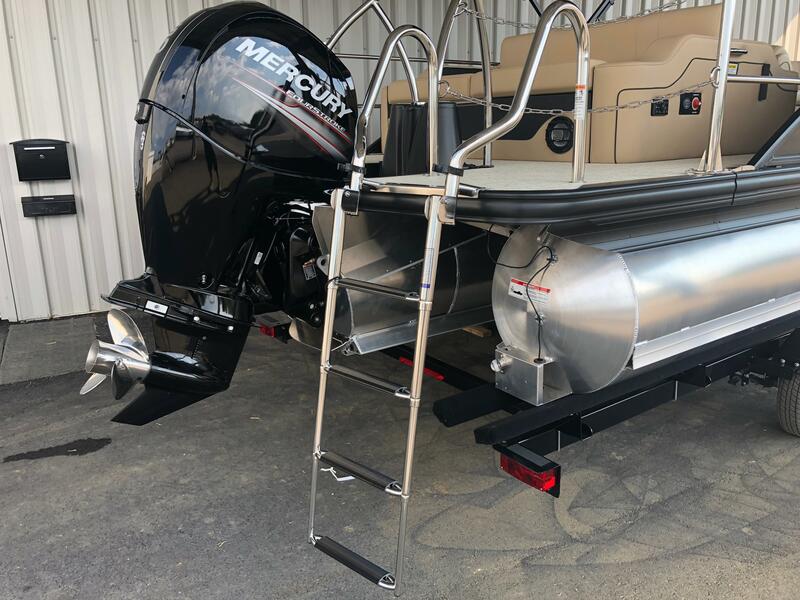 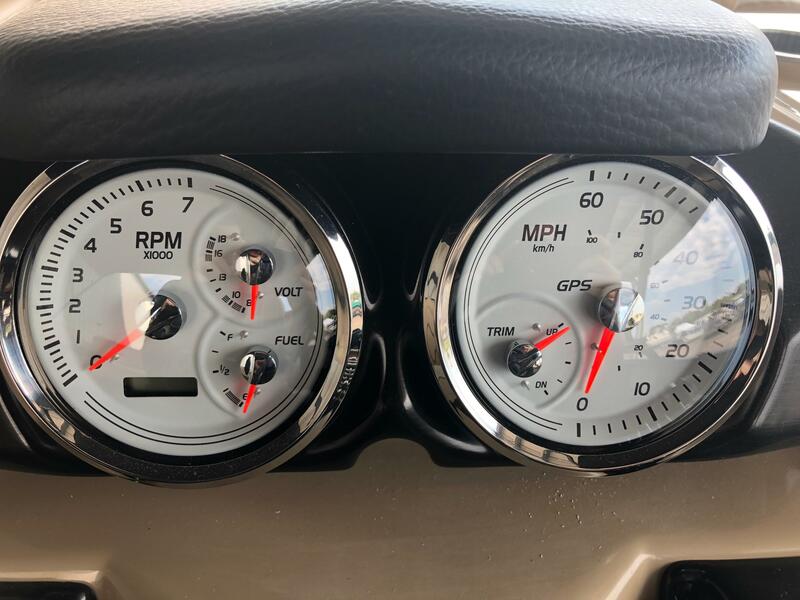 This unit is powered by a Mercury 150L fourstroke outboard. 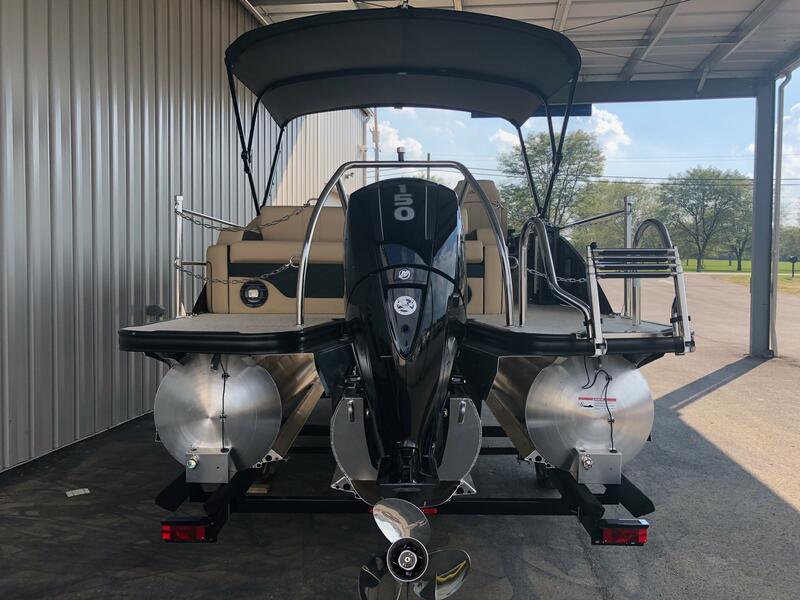 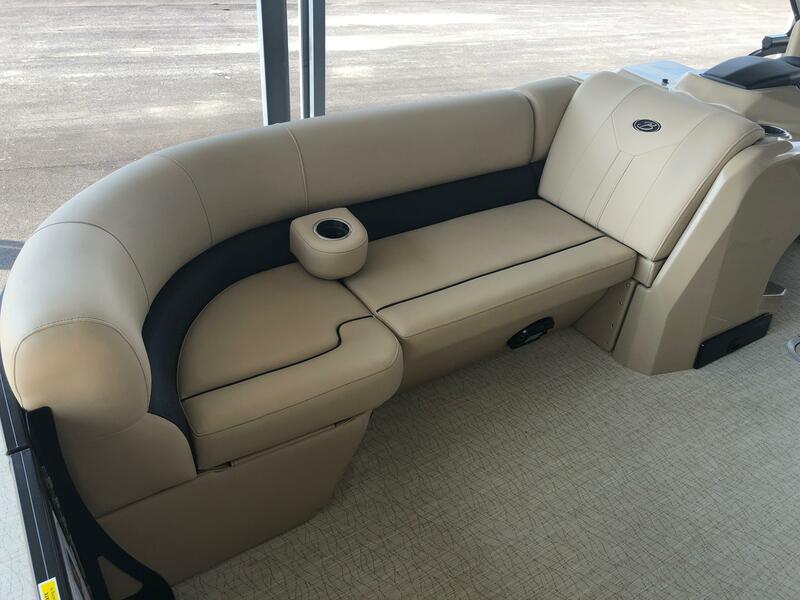 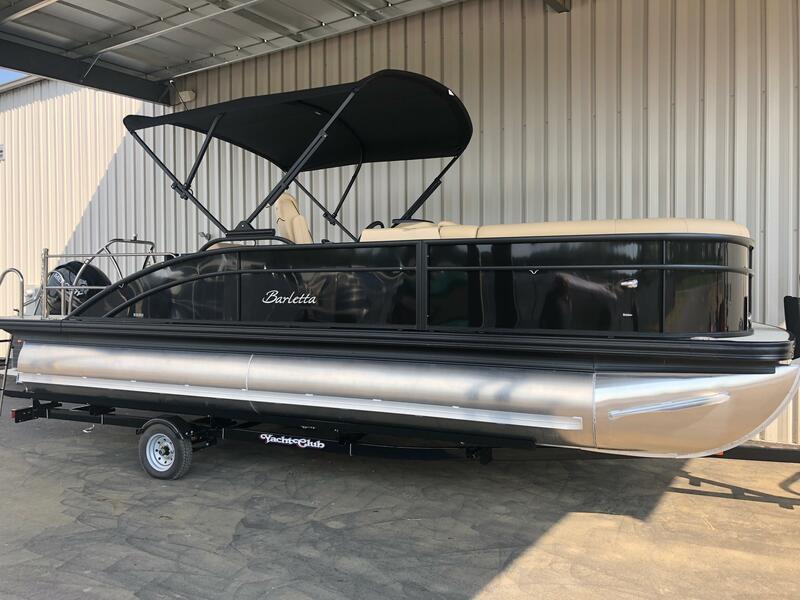 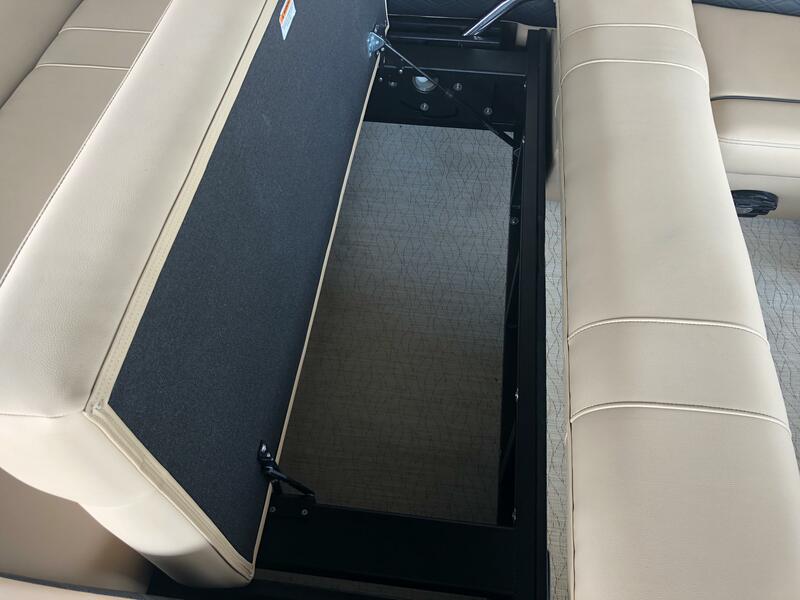 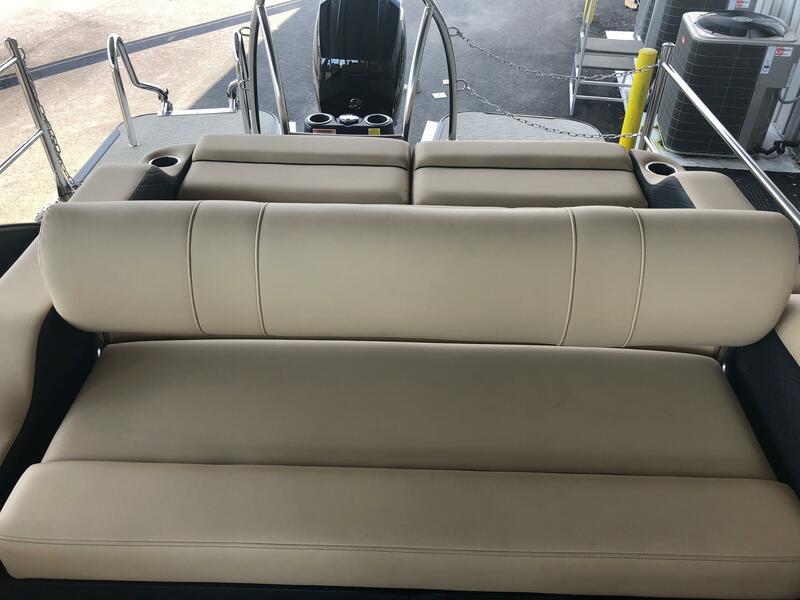 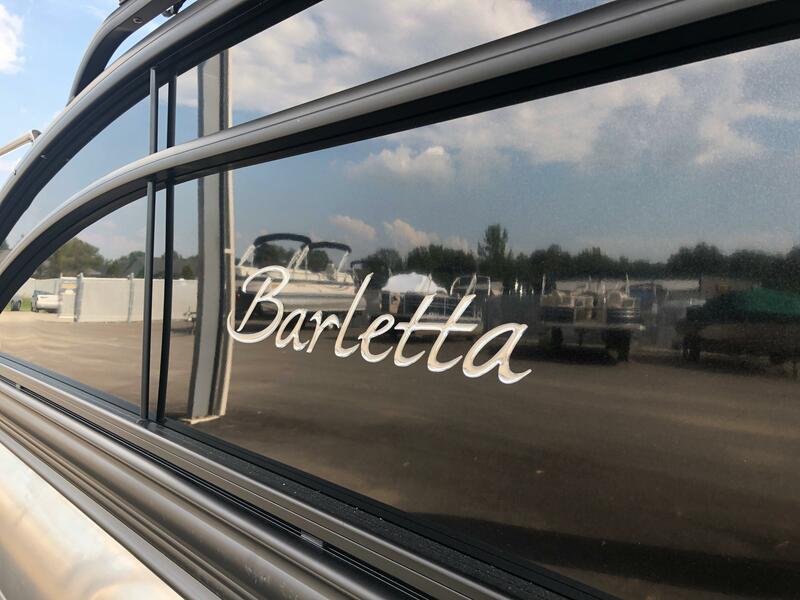 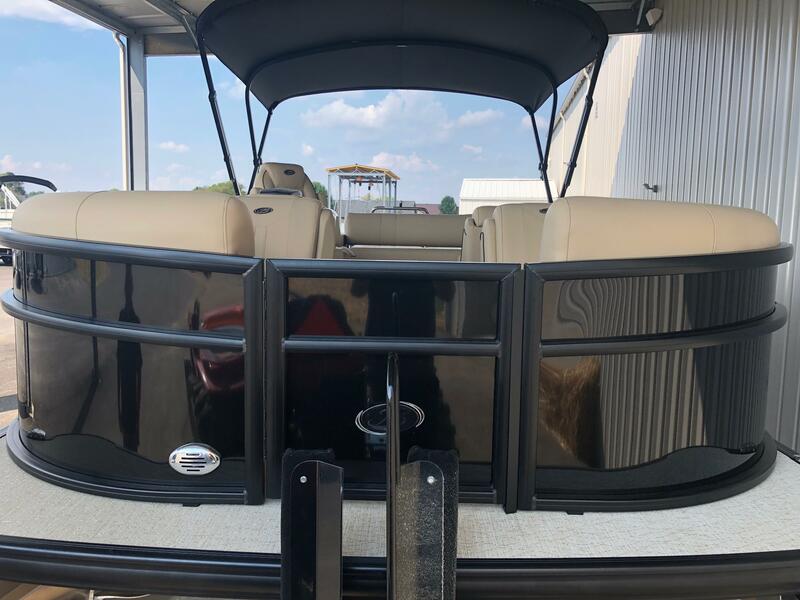 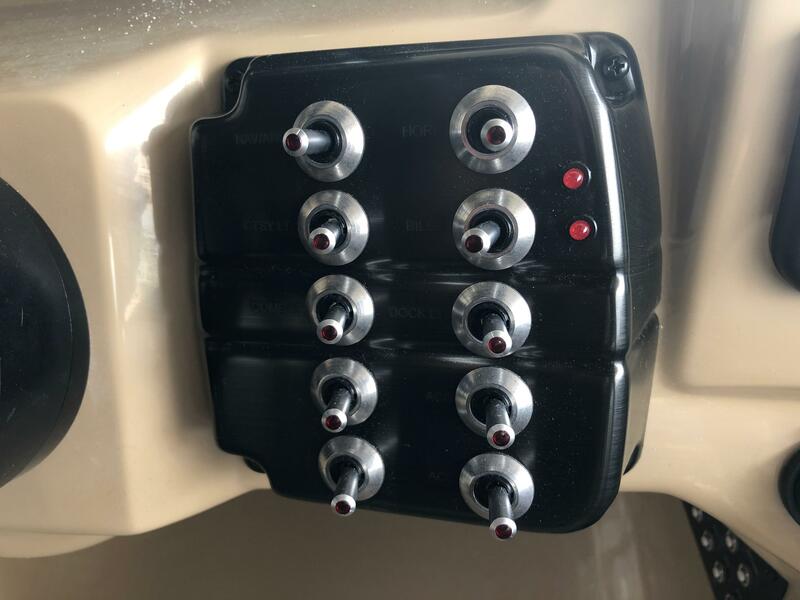 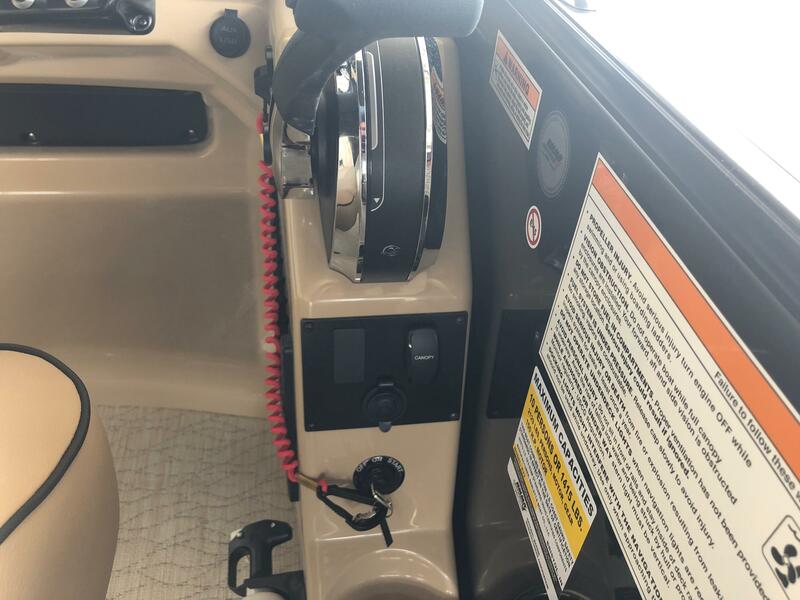 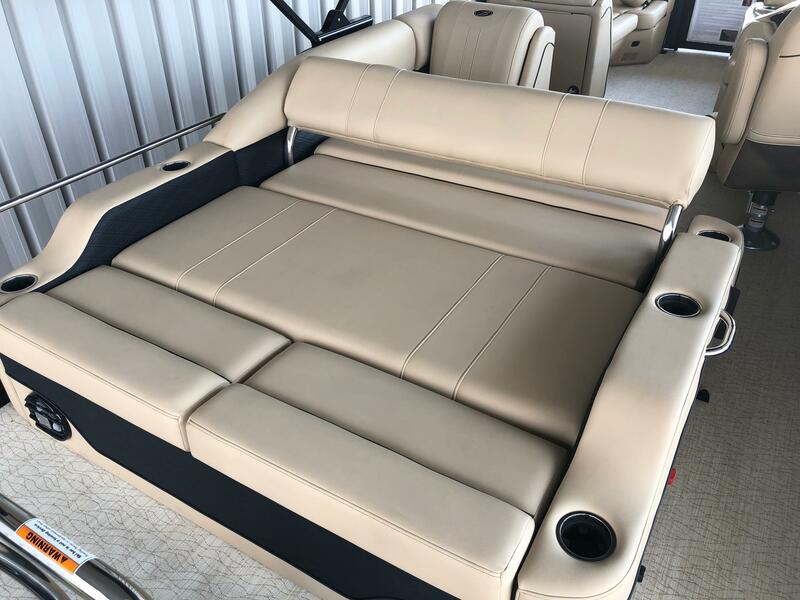 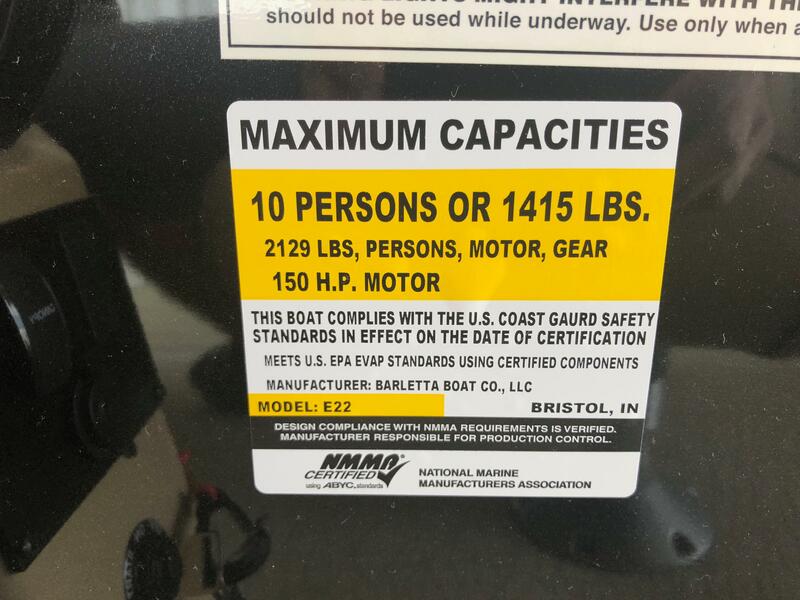 Please call us at (513)-855-4402 or stop into the showroom with any questions about Barletta pontoons.